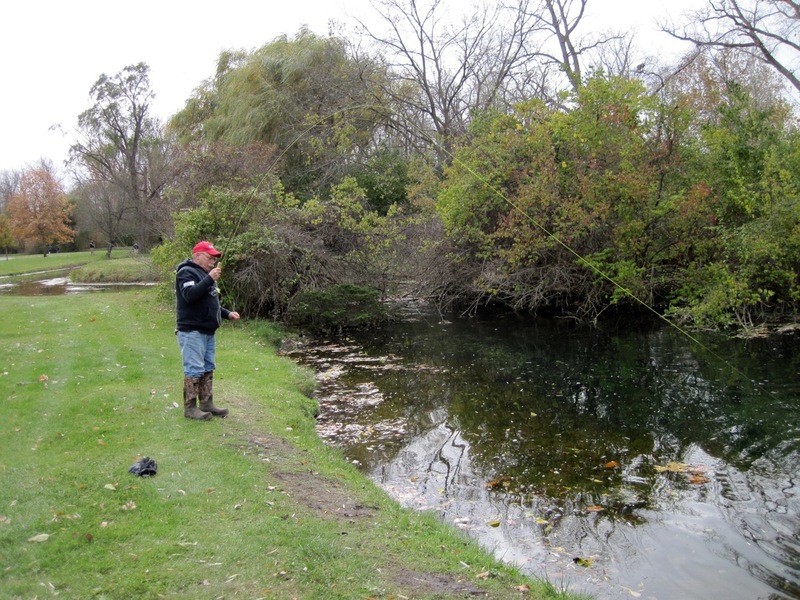 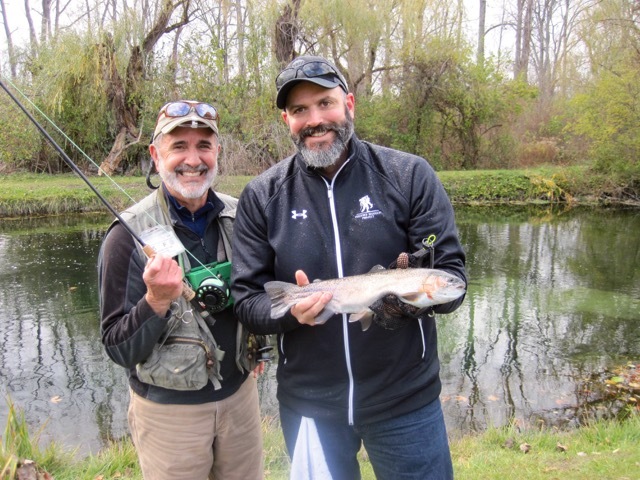 Each fall, the Chapter teams up with Dan Longnecker, owner of Little Pickerel Creek Farm in Castalia, to provide volunteers for a two-day, fly fishing and pheasant hunting program. 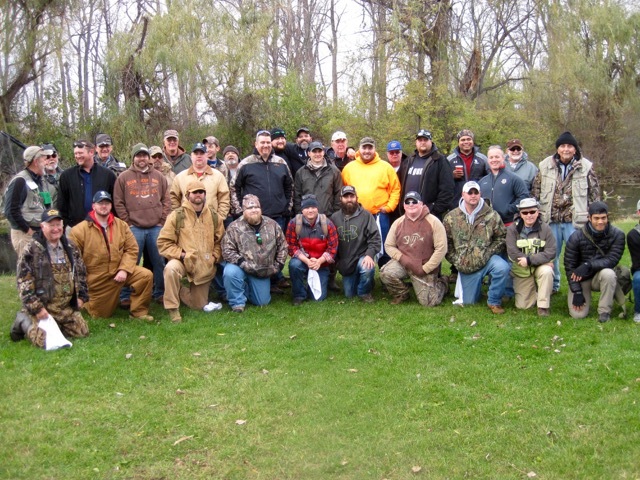 We support the fly fishing program held on the first day. 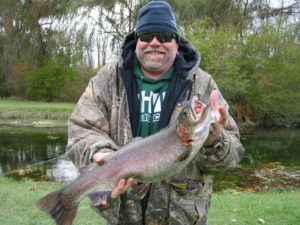 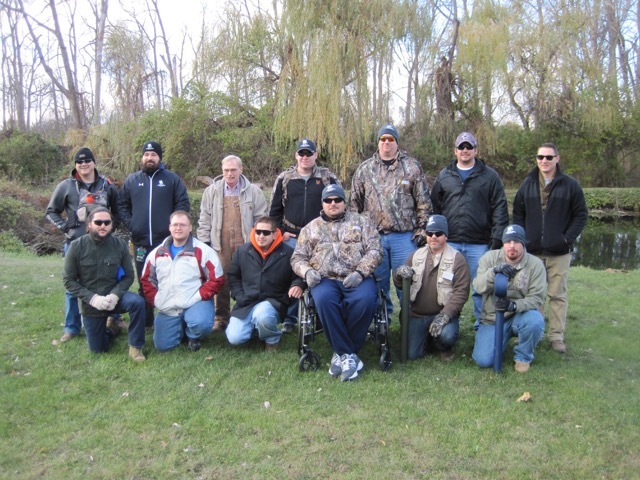 We meet the Wounded Warriors at the DOW fish hatchery in Castalia where we fish the heavily stocked Cold Creek for rainbow trout. 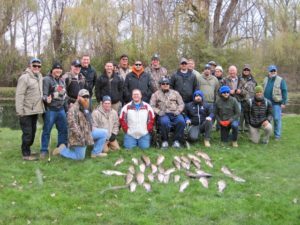 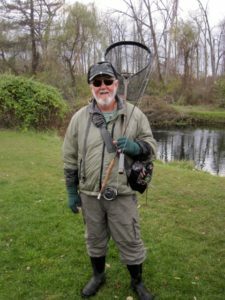 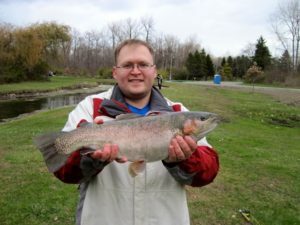 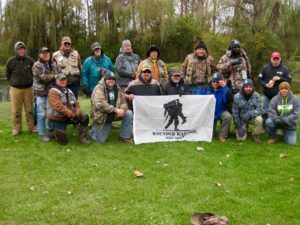 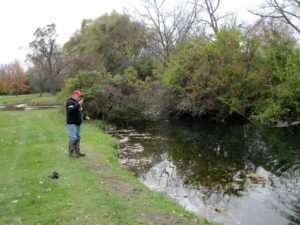 We provide all of the fly fishing tackle and flies and a dozen or so of our chapter members instruct the Warriors on how to cast a fly line, fish a fly and how to hook, play and land a trout. 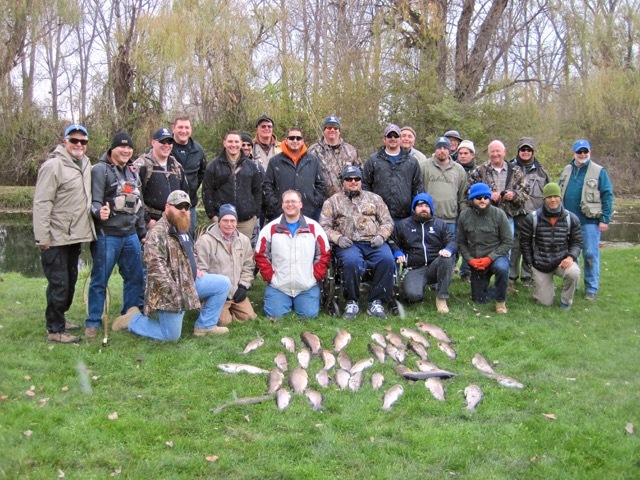 The fish are harvested and prepared for a cookout that evening. This is a fabulous event. 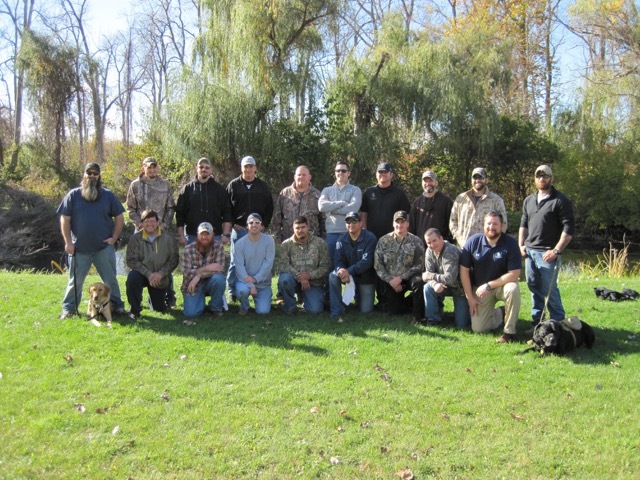 Everyone is all smiles at the end of the day! Warriors and gillies get together after a vey successful (but cold day) on Cold Creek. That rainbow took a dry fly on Cold Creek. 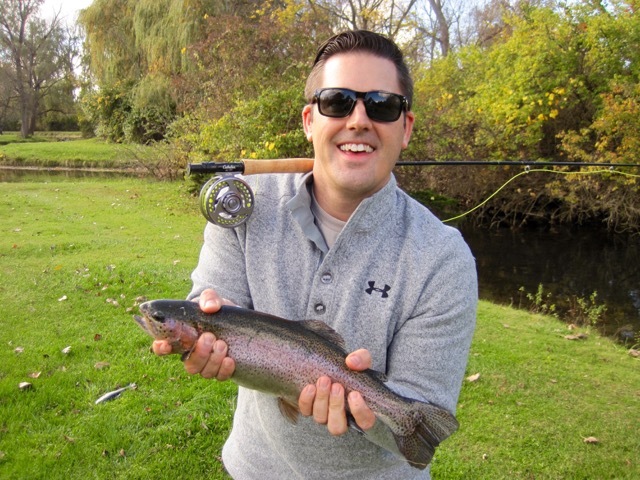 This 3-pound rainbow was a joy to watch turn aerial somersaults before coming to the net. 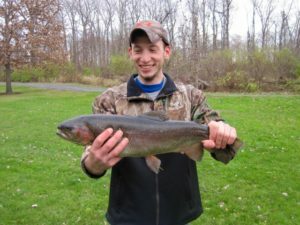 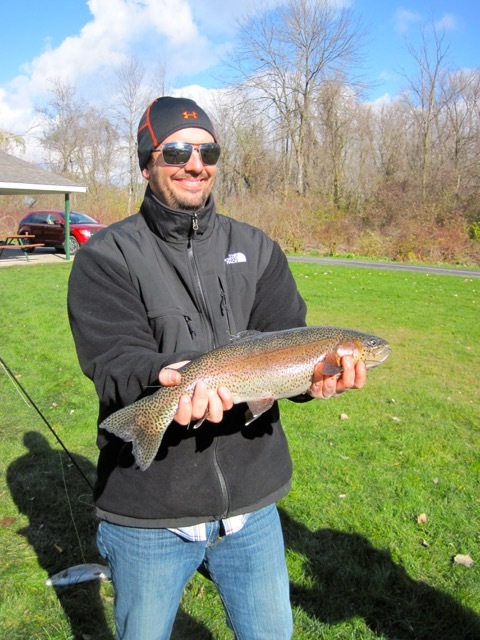 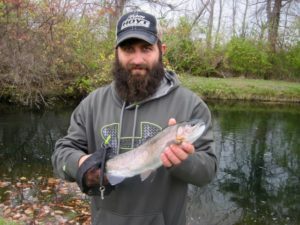 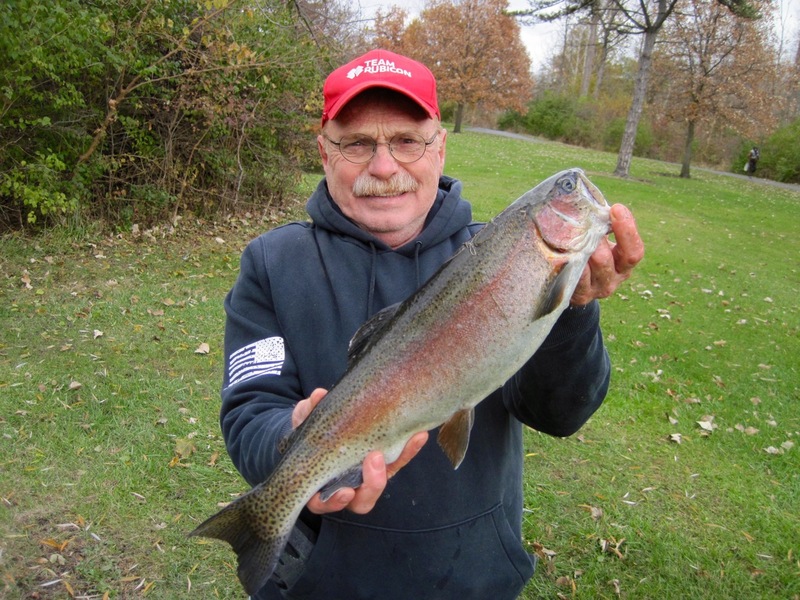 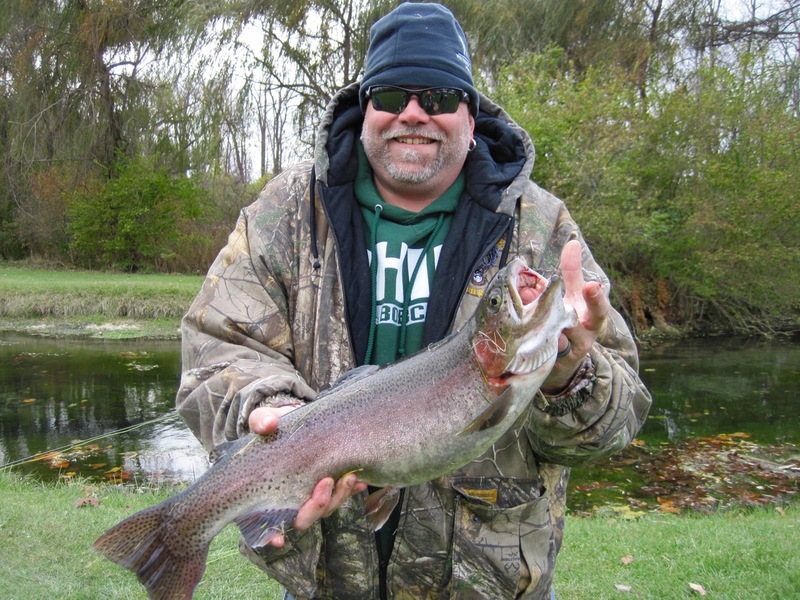 This 5.5 pound rainbow is as big as many of the steelhead caught on Lake Erie tribs.